Our university's tagline is "think beyond the possible." 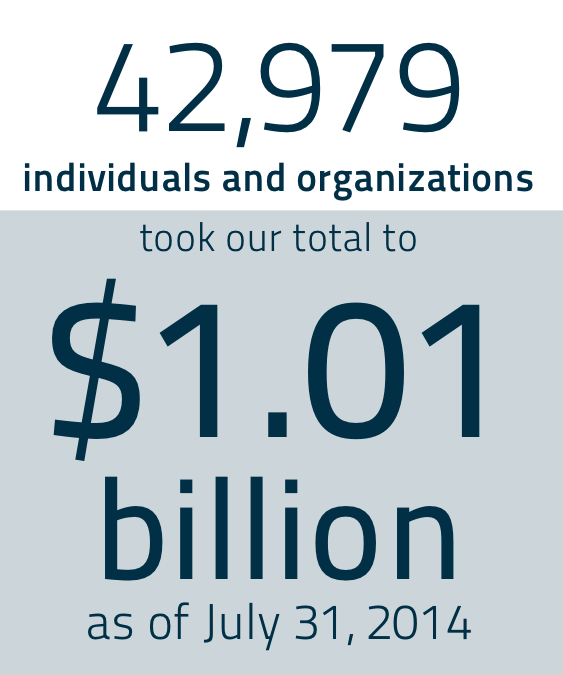 Over the past seven years, your generosity has extended beyond anything we could think. Or conceive. Or imagine. 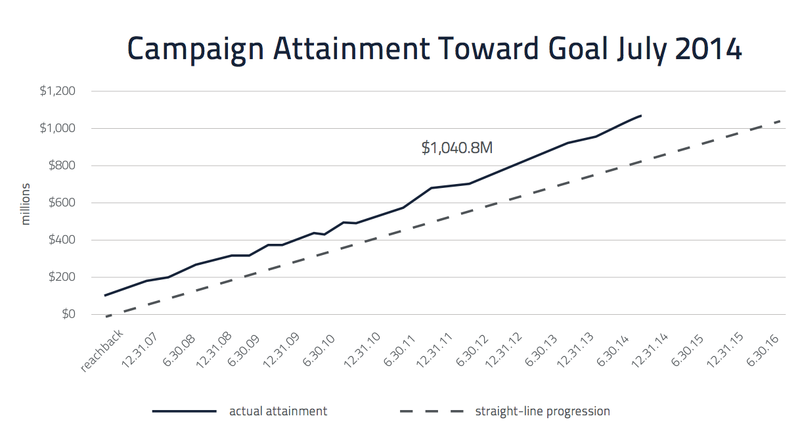 You took us past our ambitious goal of $1 billion two and a half years before our campaign end date. We are humbled, honored—and inspired. In word and deed, you have demonstrated profound appreciation for the university's mission. You have shown sophisticated understanding of the importance of education and research. And you have embraced the ideals of access for outstanding students, recognition for top faculty, and state-of-the-art spaces for learning and discovery. Like us, you have said you want to see our momentum continue. Your commitments have created new opportunities. Our campus conversations have revealed a passion to seize them. Today we announce an expansion of our campaign, to $1.5 billion. We want to ensure that promising students can attend Case Western Reserve by providing them needed financial assistance..
We need new ways to attract and keep top faculty. And we have to provide the space and technology to allow them all to do their best work. Scholarships. Endowed Professorships. And Capital Projects are the priorities for this phase of the campaign. Thank you for all that you have done to date to make our progress possible. And to help us tell the story of those advances. Now we pen a new chapter. And we hope you will help us write it. Case Western Reserve already is among the nation's top universities. But you know it can be even better. We can cure more disease. Invent stunning solutions. Enhance communities, and inspire individuals. Again, we think beyond the possible. And ask you to join us.